Let's see what we can learn from another Camden Brewery prospectus from a couple of years later. Just three years after raising £150,000 Camden Brewery was looking to get another £200,000. You'll see the reason why they needed the extra dosh in the prospectus: to pay off loans they'd taken out to buy pubs and to finance a further extension of their tied estate. "The SUBSCRIPTION LIST will be OPENED on TUESDAY, the 13th December, 1898, and CLOSED at or before four o'clock on the Following Day. 50 „ „ on 6th April, 1899. The B Debenture Stock will become payable at par on the 1st day of March, 1940, but is redeemable at the Company's option and on six months' notice, on or after the 1st day of March, 1920, at £110 for each £100 Stock, and the like premium will he given in case of payment off for any other reason beiore the 1st day of March, 1940. The Interest on the Debenture Stock will be paid half-yearly, on the 1st March and the 1st September in each year. Interest on the instalments from dates of payment will be paid on 1st March next. TRUSTEES FOR THE B DEBENTURE STOCKHOLDERS. William Stacey, Montacute House Tunbridge Wells. Montague Wootten, The Bank, Oxford. The Right Hon. Viscount Ebrington, Exmoor, South Molton, Devon. Bankers — Parr's Bank, Bartholomew-lane, London, E.C. Brokers- Steer, Lawford and Co., 3. Drapers-gardens, E.C. Solicitors— Routh, Stacey, and Castle, 14, Southampton-street, Bloomsbury, W.C.
Auditors— Broads, Paterson. and Co., 1, Walbrook, London, E.C. Registered Office— Camden Brewery, Hawley-crescent, N.W. 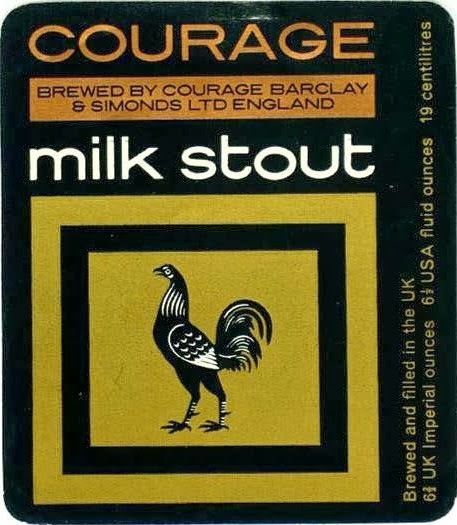 The Company was incorporated in the year 1889 for the purpose of acquiring and carrying on the well-known Brewery business established in 1859 by the late firm of Garrett, Whitaker, Grimwood, and Co., at Hawley-crescent, Camden-town. Since the Company's incorporation the business has largely increased, and additional capital is now sought for the repayment of temporary loans on premises recently acquired, and for the purchase of other licensed properties and the further extension of the business. 1, Walbrook, E.G.. 5th December, 1898. The details and adjustments are shown in the schedules attached to the accompanying report. To the Directors of the Camden Brewery Company (Limited). The amount necessary to pay interest on the £150,000 Four-and-a-quarter per cent. First Mortgage Debenture Stock and the present issue of £200,000 Four-and-a-quarter per cent. B Debenture Stock only amounts to £14,875 per annum. The present issue will be secured by a trust deed charging all the present freehold and leasehold property of the Company subject only to the 1st Mortgage Debenture Stock, and creating a floating charge on all the Company's other assets subject only to such 1st Mortgage Debenture Stock. No part of the Debenture Stock now offered for public subscription has been underwritten. Prospectuses and forms of application can be obtained from Parr's Bank, Bartholomew-lane, and its branches, the brokers, and at the offices of the Company. Application will be made in due course to the Committee of the Stock Exchange for an official quotation of the present issue. Morning Post - Monday 12 December 1898, page 8. I love those redemption dates of 1920 and 1940. The company had ceased to exist before even the earlier date. What have we learned? That the directors were still Thomas Whitaker, John Whitaker, Herbert E. Wootten, Thomas R. Grimwood and Harry Brown. The same as in 1895. And that profits were increasing. Most interesting for me is the valuation of the brewery and pubs. Remember it was £195,472 in 1895. Meaning that in three years the valuation had gone up by £463,000, or more than trebled. I don't think they had altered the brewery to any great extent, so the increase must be due to the extra pubs that they had bought. Unfortunately, this prospectus doesn't mention how many tied houses they had. In 1895, they had 84. Either they had bought a couple of hundred pubs - fairly unlikely - or the value of licensed property had shot up. I'm pretty sure it's the latter. But its frustrating not to know how many they owned in 1898. That figure would have told me so much. I like the way they say the interest on the 4.25% Debentures will "only" be £14,875 per annum. that's getting quite close to the total profit of a few years previously. And they seem to have forgotten the 5% Preference Shares, which cost another £7,500 each year. That's s total of £22,375. That's also before paying any dividend on the Ordinary Shares. Is it me, or were their fixed costs getting perilously high compared to their profits? "Is it me, or were their fixed costs getting perilously high compared to their profits?" As they didnt make it to 1920, it probably isnt just you. Did they get bought out or crash and burn?